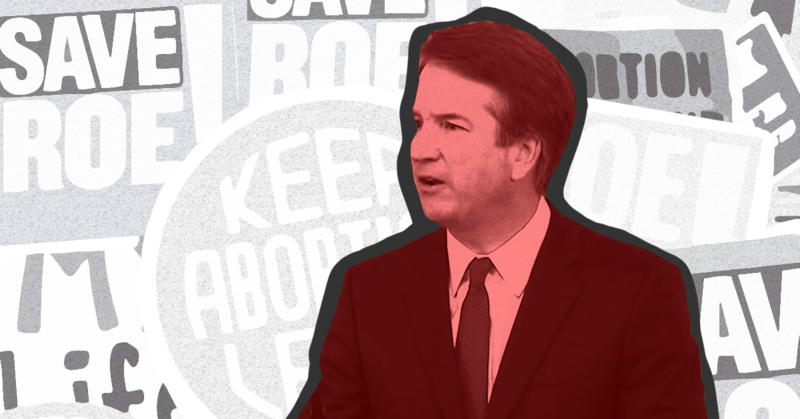 As right-wing media insist that President Donald Trump’s latest Supreme Court nominee Brett Kavanaugh won’t threaten abortion rights if he’s confirmed, PBS NewsHour modeled how outlets should report on Kavanaugh and contextualize his anti-abortion stances. Although some outlets quickly explained why Collins should certainly not be reassured by Kavanaugh’s comments on Roe, PBS NewsHour’s August 23 segment was a particularly good model for how outlets should report on Kavanaugh's "settled law" comments, as well as demonstrate how his confirmation will be a threat to abortion rights. Kavanaugh is a threat to abortion access -- a fact Biskupic underscored in the PBS NewsHour segment by providing necessary context about his record on abortion rights and previous comments about Roe. The PBS NewsHour segment shows the kind of coverage needed about Kavanaugh, especially considering Collins has voted for every Supreme Court nominee since she’s been a senator, including Roberts, Gorsuch, and Samuel Alito. Candidates in 2013 were asked about abortion. Moderators in 2017 must do the same. In the 2017 Virginia gubernatorial election, Democrat Ralph Northam and Republican Ed Gillespie have faced off in two debates -- neither of which has included a question about their positions on abortion. On October 9, Northman and Gillespie will participate in a third debate, moderated by NBC affiliate WCYB anchor Paul Johnson and featuring reporter Carmen Forman as a panelist. Given Gillespie’s known extremism on abortion and reproductive rights, Johnson and Forman have a responsibility to ask both candidates about their views on the issue. Republican nominee Ed Gillespie previously said he "would like to see abortion be banned"
On September 19, Virginia gubernatorial candidates Democrat Ralph Northam and Republican Ed Gillespie will meet for their second of three debates ahead of the November 7 election. As the race between these two candidates becomes tighter, debate moderators have a responsibility to ask Gillespie about his extreme position on abortion. New polls show that the race between Gillespie and Northam has narrowed: One poll shows the candidates tied while another has Northam with a 5-point lead, but within the margin of error. Debates often serve as the first real encounters voters have with candidates, making the platform an essential opportunity for moderators to highlight the contrast between the candidates’ positions. Thus, moderators for the two remaining debates must ask questions that highlight the differences between Gillespie and Northam’s positions -- particularly Gillespie’s dangerous stance on abortion access. 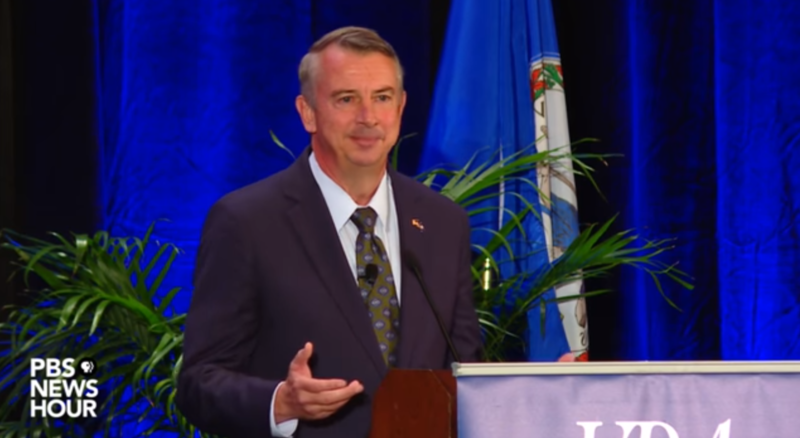 Earlier this year, while at a forum for potential Republican gubernatorial nominees, Gillespie told the crowd, “I would like to see abortion be banned because I think it is a taking of an innocent human life.” Gillespie also expressed support for defunding Planned Parenthood and banning all abortions after 20 weeks of pregnancy, despite the lack of a constitutional basis for such a policy. The anti-abortion group Susan B. Anthony List also supports Gillespie and plans to run digital ads for him before the election. In contrast, Northam has argued that abortion should remain a medical decision for the person seeking an abortion, earning him the support of Planned Parenthood and NARAL Pro-Choice America. At the Republican gubernatorial candidates forum, the moderator explicitly asked Gillespie about whether the Supreme Court should overturn Roe v. Wade -- exposing his extreme position that abortion should be banned. During the first gubernatorial debate, however, debate moderator Judy Woodruff, anchor of PBS NewsHour, did not ask the candidates a single question about abortion or reproductive rights. Given Woodruff’s omission, NBC’s Chuck Todd, who will serve as the moderator for the second debate, must press Gillespie about his comments on abortion. Restrictions on abortion access largely happen at the state level, taking the form of unnecessary laws that delay and stop access to abortion. In Virginia, people seeking an abortion already must undergo mandatory counseling and then wait 24 hours to have the procedure. Gillespie’s desire "to see abortion be banned" is extreme, and it's up to moderators to hold him accountable while voters are watching. NARAL: Failure To Ask About Abortion Is "Shameful And A Real Disservice To Voters"
Despite a vigorous social media campaign imploring debate moderators to ask presidential candidates about their positions on reproductive rights, Thursday's Democratic debate passed without a single question on the topic. Moderators Gwen Ifill and Judy Woodruff emphasized a variety of issues in the February 11 debate, yet they failed to ask "how the candidates plan to empower women to make decisions for their lives and families," as NARAL Pro-Choice America put it. The omission of a reproductive rights question was particularly disappointing given NARAL's attempts to reach out to moderators prior to the debate through both social media and direct communications. Starting a Twitter campaign to #askaboutabortion, NARAL encouraged moderators to address the topic and urged candidates to more fully explain their respective positions on protecting women's access to abortion care. Similarly, on February 9, NARAL sent an open letter to Ifill and Woodruff making clear the consequences of excluding discussions of reproductive rights from the February 11 debate. Crediting the rising threat of anti-choice violence against abortion providers, as well as the efforts of "anti-reproductive freedom legislators and governors" to enact "dangerous restrictions on women's health care at near record numbers," NARAL warned that it was past time for voters to "hear from the Democratic candidates what they plan to do to protect women's reproductive-health care in this country." They wrote: "we find the lack of questions on this subject to be shameful and a real disservice to voters." NARAL was not alone in its criticism of prior debates, nor in its desire for journalists and moderators alike to exert more pressure on candidates about their reproductive rights positions. 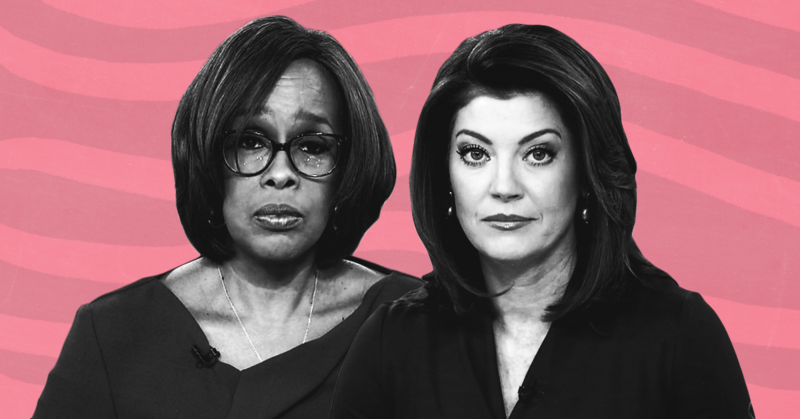 In a February 10 article, RH Reality Check's editor-in-chief, Jodi Jacobson, explained that moderators and journalists are "becoming complicit in the lies and stigma surrounding abortion care" by failing to ask candidates about abortion. Unfortunately, the silence on reproductive rights issues during debates has become entirely one-sided. Following the February 6 Republican debate, conservative media hyped candidate Marco Rubio's extreme abortion positions. As Daniel Marans reported for The Huffington Post, however, the failure to raise similar questions during Democratic debates means that "Republicans are setting the terms of the abortion debate," leaving Democrats with "themselves to thank for having to field abortion questions that play to their weakness rather than their strengths." The hesitance to openly discuss abortion during Democratic debates does not seem limited to just moderators. In an article for Jezebel, Anna Merlan noted that when the issue finally came up in the February 11 debate -- spurred by a question about the possibility of electing the first female president -- both candidates shied away from "using the word 'abortion'" at all. Instead, Sen. Bernie Sanders talked about "women having to make a very personal choice," and former Secretary of State Hillary Clinton hyped her endorsement from NARAL and said the GOP is trying to "set back women's rights." According to Merlan, this omission was puzzling given that a "Democratic president would" have to find ways to "work with the large chunk of the GOP who get up each day with the intent of rolling back Roe v. Wade." As NARAL explained in its letter, given the fact that women confront "near daily threats to their right to reproductive freedom in this country," the failure of debate moderators to ask about abortion is "shameful and a real disservice to voters." As the Supreme Court prepares to hear "the most important abortion case in decades," about a Texas law imposing restrictive rules on abortion clinics, it is crucial now more than ever that moderators ask candidates about abortion and encourage them to explain the effects their policies will have on women's access to safe, legal, and affordable care. Media coverage of the debt ceiling frequently claims that raising the limit without simultaneous spending cuts would give President Obama a "blank check," repeating a pattern of promoting this false narrative -- or failing to correct it -- that occurred during the unprecedented brinkmanship of 2011. The phrase implies that the debt ceiling governs additional spending desired by the White House, when in fact it is a restriction on the executive branch's ability to borrow money to pay for spending measures already enacted by Congress.